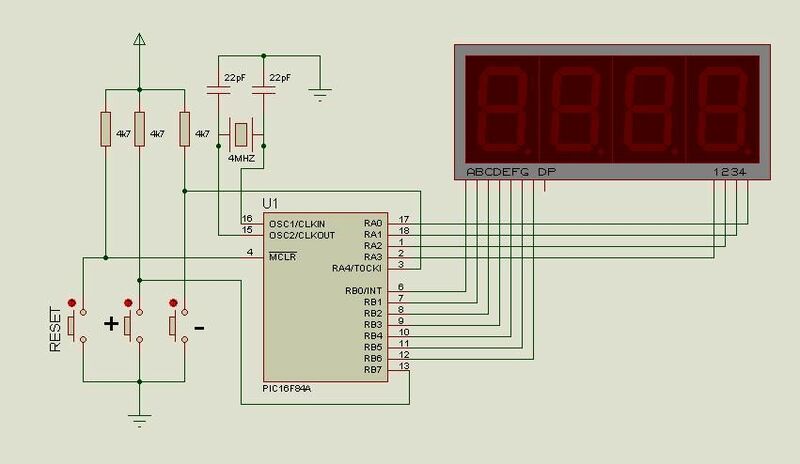 This is a good Electronics Counter project on PIC16F84A 0-9999 counter which will count from 0 to 9999 and is very useful for small scale industries. The circuit and block diagram of the project are included. You can also Subscribe to FINAL YEAR PROJECT'S by Email for more such projects and seminar. 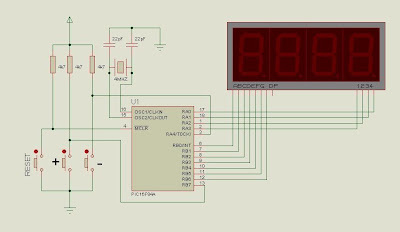 Use this circuit diagram for your reference only.